This macro takes a flow map, wear map, and deposition map from erosion to create carvings in the terrain. The depth of the carving, the thermal weathering, and the type of carving can also be specified. 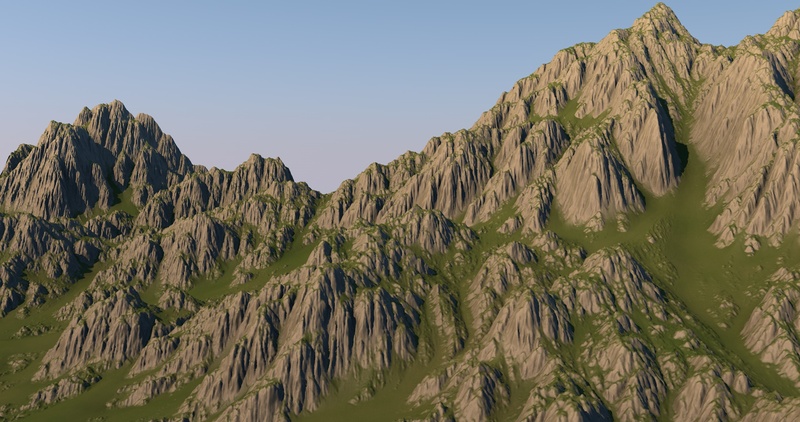 This great for rocky terrain, especially with the "Good with Terraces" erosion preset, or a hard erosion.